The statute of limitations is the time limit a victim of a crime has for filing charges against the defendant. The general rule for the statute of limitations for felonies is that the government can no longer file criminal charges for an offense once 5 years has passed from the time the alleged crime was committed. The federal statute of limitations is 18 USC 3282 . The argument that the statute of limitations has run is a defense against a criminal charge, yet if it is not presented before a trial begins, the defendant likely has waived their right to use this as a defense. The statute of limitation does have exceptions. Federal law says that the general 5-year statute of limitations applies in every case unless there is a specific code section that extends the statute of limitations for that particular offense. 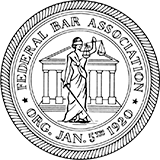 For a more extensive description of the federal statute of limitations, visit my article: Federal Statute of Limitations.